When it comes to gutter installation in the Ellicott City area, the only name you need to know is Roland Slate Service Company. With over 25 years of experience in the industry, we are the gutter contractors you can rely on for excellent products and stellar service. But don’t just take our word for it. Simply look at all of the awards and accolades we have won over the years, including the Governor’s Award for Business Ethics and the 2013 Torch Award from the Better Business Bureau. At Roland Slate Service, we are experts in all aspects of roofing and can install gutters on just about any roof in the area, no matter the style. For example, if you have a slate roof, our built-in gutters will integrate seamlessly and subtly so as not to detract from the classic beauty of the roof. 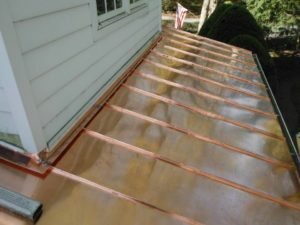 Perhaps you have a copper roof and want copper gutters to match. We can do that as well. Of course, we also install traditional aluminum gutters, which are suitable for just about any type of roof. We pride ourselves on our personalized service – the kind that only a family-run company can give. We treat all of our customers with respect and integrity from the first consultation all the way to the final follow-up. We offer flexible gutter installation times so to minimize the disruption to your daily life. And, all of our gutter products are backed by comprehensive manufacturer and labor warranties for your peace of mind. 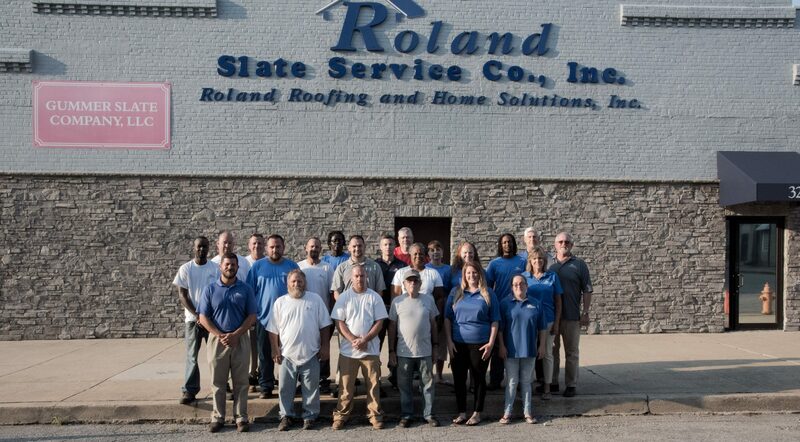 To learn more about why you should choose Roland Slate Service for your gutter installation in the Ellicott City area, contact us today and schedule your free consultation.